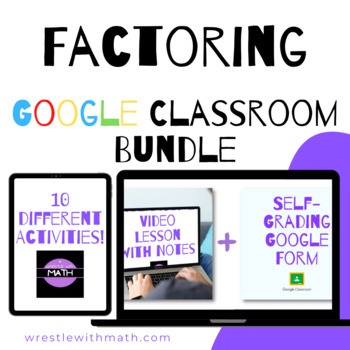 This bundle purchase includes 10 Google Forms on factoring. 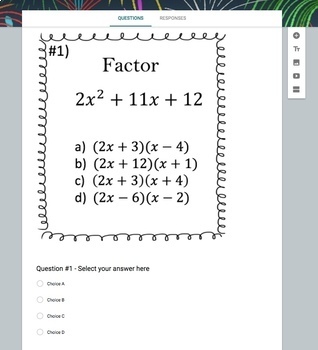 These activities are perfect for students learning how to factor algebraic expressions for the first time. Each form contains 10 questions varying in difficulty. 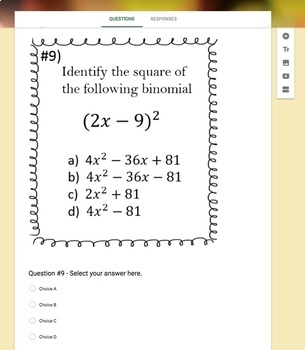 "Dividing Monomials (Google Form, Video Lesson & Notes!)" 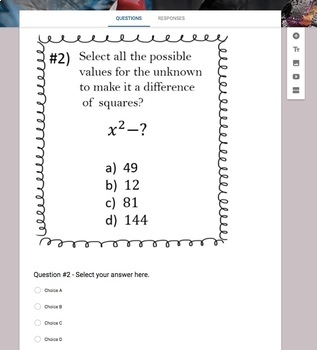 BONUS - each activity includes a video lesson and notes that complement each lesson. Enjoy!